Be the first to share your favorite memory, photo or story of Kathryn . This memorial page is dedicated for family, friends and future generations to celebrate the life of their loved one. 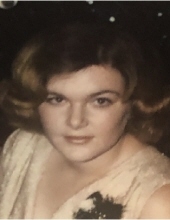 Mrs. Kathryn Grace “Gracie” Romans, age 66, of Willard, Kentucky, passed away Saturday morning, March 23, 2019, at Community Hospice Care Center in Ashland, Kentucky, surrounded by her loving family. She was born September 28, 1952, to Lois Ann Mannering in Oakhill Ohio. Gracie graduated from Northeastern School of Commerce with a degree in Business Administration. She was employed as the manager of Medi-Home care a durable medical equipment company of Grayson Ky, from which she retired. She married the love of her life Fredrick G. Romans and they spent 30 beautiful years together. Graice loved the beach and cruise vacations with her family to several destinations. Gracie was a loving devoted mother of two children William A. Hall (Donna Hall) of Willard, Kentucky, and Peggy Jo Guilds (Doug Guilds) of Webbville, Kentucky She adored her six grandchildren, David W. Guilds (Valerie Guilds) of Terre Haute, Indiana, Dillon J. Guilds (Andrea Guilds) of Lexington, Kentucky, Amanda P. Hall Marcum (Brad Marcum) of Rush Kentucky, Morgan G. Guilds of Lexington, Kentucky, Ricki M. Settle of Willard, Kentucky, and Ashly N. Hall of Denton Kentucky, She was the doting, loving great grandmother to seven beautiful grandchildren, William “Liam”, Natalie, Corbin, Soren, Katie, Addilyn, and Skylar. She was one of eight children born to Lois Ann Mannering consisting of one brother John D. Mannering of Bay City, Mi, and six sisters, Paula McKay of North Charleston South Carolina, Carol Mihacsi (Kurt) of Sebewaing, Michigan, Debra G. Socier (Gary) of Detroit, Michigan, Rhonda Keels of Jackson, Ohio, Cheryl Turner (Mark) of Vassar, Michigan, and Lori Keels (Monte) of Saginaw, Michigan, and many cousins, aunts, uncles, nieces, and nephews. She was preceded in death by her mother, Lois Ann Mannering of Sebewaing, Michigan, Her First husband William C. Hall of Hitchins, Kentucky, Father Paul Franklin Mannering of Jackson, Ohio, and Grandparents John and Grace Baker of Hitchins, Kentucky. Gracie was a beautiful and amazing woman who was generous, kind and compassionate. She was outgoing and never met a stranger. Our hearts are broken, she will be greatly missed and our world will never be the same. Funeral services will be held at 2 p.m. Sunday, March 31, 2019, at Grayson Funeral Home & Cremation Services in Grayson, Kentucky with Brother Tim Hall officiating. Friends may visit from 6 p.m. to 8 p.m. Saturday, March 30, 2019 and after 9 a.m. Sunday at Grayson Funeral Home & Cremation Services, 49 McCoy Road, Grayson, Kentucky 41143. To send flowers or a remembrance gift to the family of Kathryn Grace "Gracie" Romans, please visit our Tribute Store. "Email Address" would like to share the life celebration of Kathryn Grace "Gracie" Romans. Click on the "link" to go to share a favorite memory or leave a condolence message for the family.